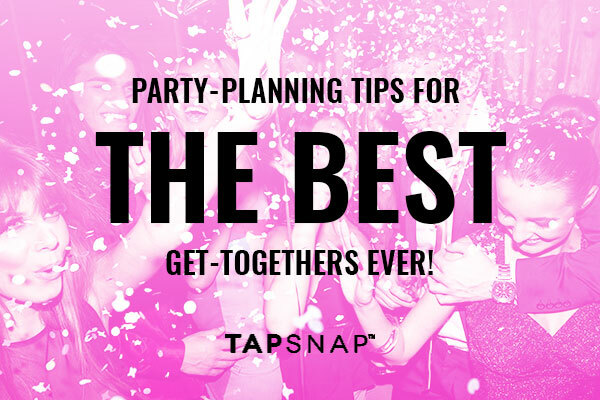 Party-Planning Tips for the Best Get-Togethers Ever! Whether you’re having family over to celebrate a special occasion, or inviting close friends for a cozy dinner party, entertaining at home can be 2 parts exciting and 1 part stressful. With the holiday season around the corner, we wanted to help out with a few stellar party planning tips. We’ve teamed up with Anjonette Copon, Event-Planning Extraordinaire from Christopher J Design, to show you how to throw the best party yet! Check out her expert advice. Entertain with a “make-your-own” station. Particularly over this past summer, I’ve noticed a lot of “stations”. 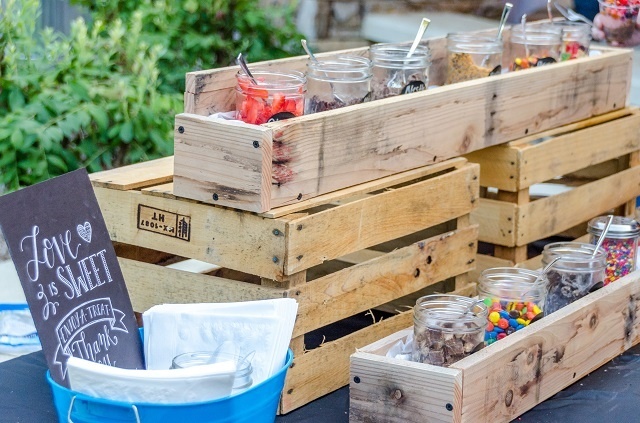 Think candy bars, mimosa bars, or ice cream sundae stations – essentially, places where guests can create their own SOMETHING! It’s a fun activity for guests to be a part of and it encourages them to interact while using their creativity. The polaroid camera has also made a huge comeback! There were very few weddings I did over the last year that didn’t have one. These serve as great keepsakes for memories, or even just fun takeaways for your guests. Don’t forget about the ‘essentials’ when entertaining at home. Food is SO important when hosting any kind of event – from something as small as a private get-together to something as large as a wedding, it’s a very important detail. For many reasons, food is always the thing that people will remember and will talk about. I hosted my birthday party at my favorite brunch bistro a few weeks ago and people are STILL talking about how good the canapés were! Now I don’t mean that the food has to be anything fancy. Personally, I love casual and comfy finger foods, but it’s important to be properly prepared with enough quantities for your guests. Knowing your audience is super important when choosing what to put out on that table as well. If you’re stuck and unsure, potlucks are a great idea when hosting something at home. It takes some of the responsibility off of you, and you always get a wide variety of choices for everyone! Speaking of variety, I like to mix up my guest list. It’s always fun to invite people from different areas in your life, such as your childhood friends, your work colleagues, and your favorite neighbors. It’s exciting to meet new people at events, and your guests will always have something to talk about! There are a few elements that I think contribute to setting the mood. A few days before, create a playlist of great music to have going in the background. Choose what you think will best suit the kind of atmosphere you are going for. I like to throw in a couple of throwback songs that I personally know some guests will enjoy! Something that I always find very important is ensuring that the space is adequate for mingling. Be sure to create enough space for movement throughout the room or venue— it gets your guests talking and moving around. I noticed that I can sometimes nod off a little bit if I am sitting in the same place for too long! Décor plays another big role in setting the mood for your event. If you’re hosting a Summer dinner or backyard event, you aren’t going to decorate everything with Halloween decorations, are you (unless that’s what you’re going for)? You may not always need to decorate your home because it already has your own personal touches, but it’s always fun to throw in some centerpieces or fancy napkins. Break the ice with entertaining activities. Any of those entertainment trends I brought up before are all really good ways to get your guests moving and talking! 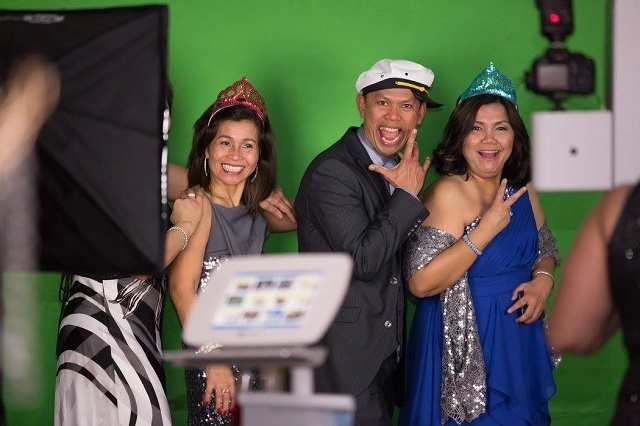 Things like “make-your-own” stations, photo booth rentals, or polaroid cameras are a big hit. Lawn games also make for fun summertime entertainment. Karaoke can be a good ice-breaker too, but only if that’s the type of crowd you are entertaining. I have been to some private get-togethers where karaoke made the atmosphere more awkward because only a few people had the courage to do it! Again, this is where knowing your guests really comes into play. This also depends on party size. With smaller groups, sometimes a game of Cranium or a charades-based game can provide hours of fun. It’s a bit harder to get group games like that going with a larger crowd, but consider having different game rooms instead. Now that’s an idea! TIP: If you’re planning a celebration for your little one, check out these fun entertainment ideas for kids’ birthday parties for more ideas! Stay organized and keep things simple. Make sure you give yourself enough time to plan your event, especially if you’re expecting a larger guest list. Personally, I like to give myself deadlines so I know when certain things need to be completed by. 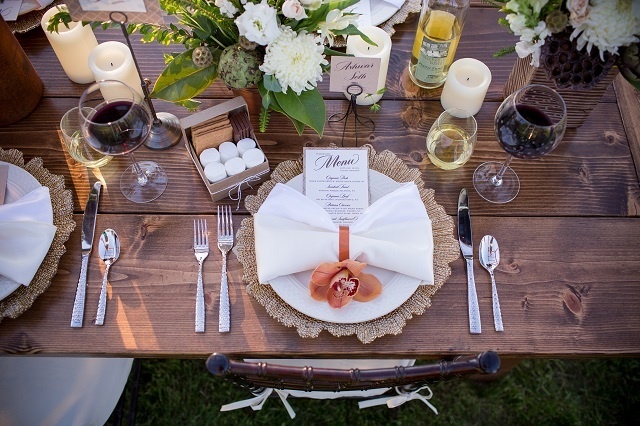 For example, have your menu picked out (unless you’ve opted for a potluck) and your rentals booked two weeks prior, and have your guest list confirmed a week prior. Remember, the more stressed out you are, the more your guests will feel it and you won’t be able to enjoy your own event—which is also very important! Don’t burn yourself out. Sometimes keeping it simple can be the best way to go. Remember – quality over quantity! That’s one of the most important party planning tips to keep in mind. Don’t feel like you need to throw something extravagant to impress your family and friends. It can be difficult enough just trying to get everyone together. The fact that you’re opening up your home to them and hosting this event is impressive enough! I think that an event planner is a great thing to have if you are dealing with a large event. They completely take the stress off of you, as it’s their job to make sure everything runs smoothly for you and your guests. They also help to bring your vision to life and are great for inspiration with décor and themes. They will always have great and different ideas to bring to the table. Planners also know where to find everything thanks to their arsenal of amazing event vendors and partners. This way, you can actually enjoy your event and be able to spend time with your guests instead of running around – let them take care of that! Aside from all the pre-planning, entertaining at home is fun! Whether you’re hosting for the first time, or a seasoned party organizer, keep these party-planning tips in mind for your next get-together! And because the holidays are almost here, check out these top 5 holiday party entertainment ideas. 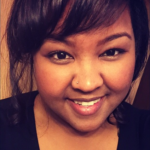 Anjonette Copon has worked in the Event industry for almost 7 years after graduating from the Art Institute of Vancouver for Event Management. She currently works as the Sales, Rentals, and Special Events Coordinator at Christopher J Design, an event design company in Vancouver that services anything from corporate events and conferences, to private events and weddings. On the side, Anjonette has worked for companies such as Filosophi Events as an Assistant Wedding Coordinator. Since the end of last summer, she also began taking on her own clients for weddings and events. She has worked in various areas of this industry and couldn’t imagine herself anywhere else!